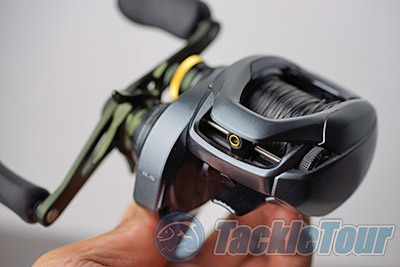 Introduction: A Shimano DC reel for only $249 dollars? I�m not sure I ever thought that we would see the day that this feature would finally become mainstream, let alone be introduced in a Curado Series reel. Yet here we are, and the Curado Series enters a new chapter, serving as the launch platform for Shimano�s new and easier to operate I-DC4 system. 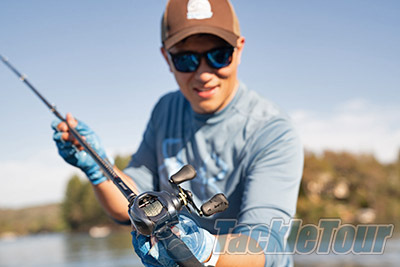 Impressions: There are higher-end and more performance rich baitcasters than the Curado Series within Shimano�s own lineup but there are none that are as well known. 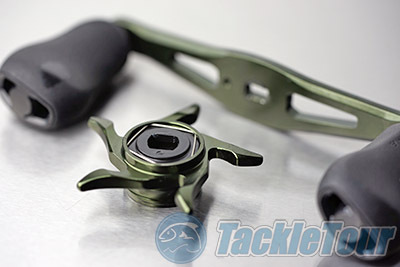 The Shimano Curado Series is the �do everything� workhorse reel within the company�s portfolio, and over the years has continued to evolve and leverage features that were once reserved for reels sometimes costing twice as much. 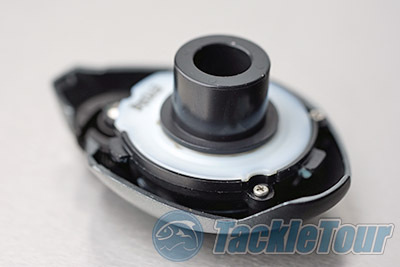 Up until this point the company�s Digital Control (DC) braking had been reserved for the company�s premium baitcasters, and was one of the features that really separated the brand�s enthusiast offerings. This has now all changed with the introduction of the Curado DC, the first reel to make use of the company�s I-DC4 braking system. 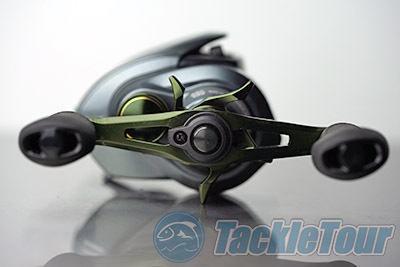 For those that are unfamiliar with Shimano�s DC cast control, this electronic system makes use of a combination of three primary components, a PCB which provides a platform for all the components, the magnetic braking system, and the microprocessor that helps control the braking force throughout each cast. The DC system doesn�t require any batteries to be replaced and is powered by the very casts that it helps manage. 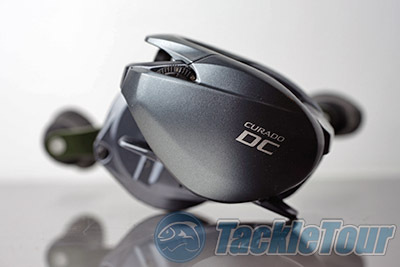 The Curado DC�s I-DC4 system is a new take on the digital braking system and the company had to design a new unit that is not only more affordable to manufacture but one that is durable enough to stand up to everyday use, as well as be more intuitive to operate for anglers learning to operate the system for the very first time. They approached this by creating a new sealed DC system, and instead of offering the massive amount of settings like the previous Calais DC (4X8) reels, opted for a more straightforward 4 mode system. Mode 1 is for maximum distance (least amount of magnetic braking), Mode 2 is designed specifically for managing braided line, mode 3 is for fluorocarbon or stiffer lines, and Mode 4 offers maximum control (largest amount of magnetic braking) for skipping applications. Interestingly the I-DC4�s microprocessor has also been enhanced to even make adjustments while anglers are fishing to further adjust to the weight of the lure and current wind conditions. This new sealed DC system is housed within the same basic form factor as the current Curado K Series, except for the non-handle sideplate design which is slightly larger to accommodate the DC cast control system and top mounted adjustment dial. 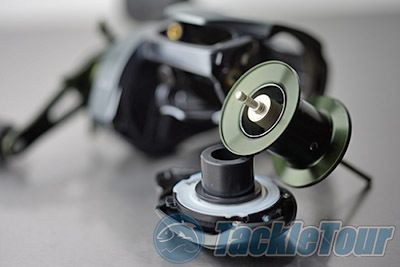 The new reel is also painted a grey color, versus the matte black, which makes it look more like Shimano�s Chronarch and Metanium reels, but the green anodized handle, drag star, spool tension knob, and spool are all still there to remind you that this is indeed a Curado Series reel. Next Section: But does it whine?